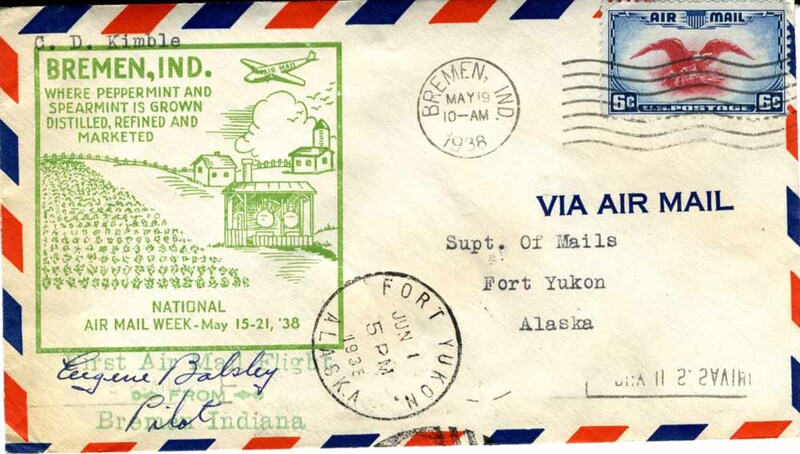 In celebration of the 20th anniversary of air mail service in the US—and in an effort to promote the service during the Great Depression—the US Postmaster General designated May 15-21, 1938, “Air Mail Week”. 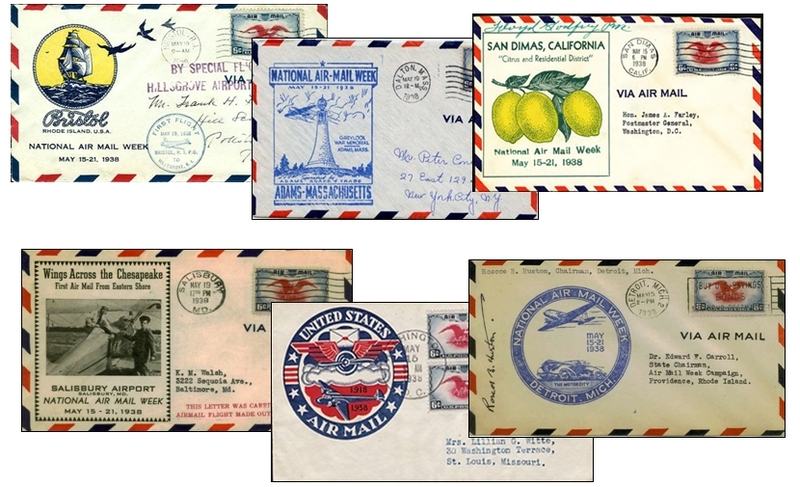 Campaigns were launched with local postmasters, the Boy Scouts, college fraternities, and other organizations to encourage all Americans to send a piece of air mail that week. In preparation, every town across the nation was invited to create its own commemorative design (called a “cachet”) that would be printed on the envelopes. Some created colorful cachets and hand-stamps, but even those that were hasty and minimal are treasured by collectors. 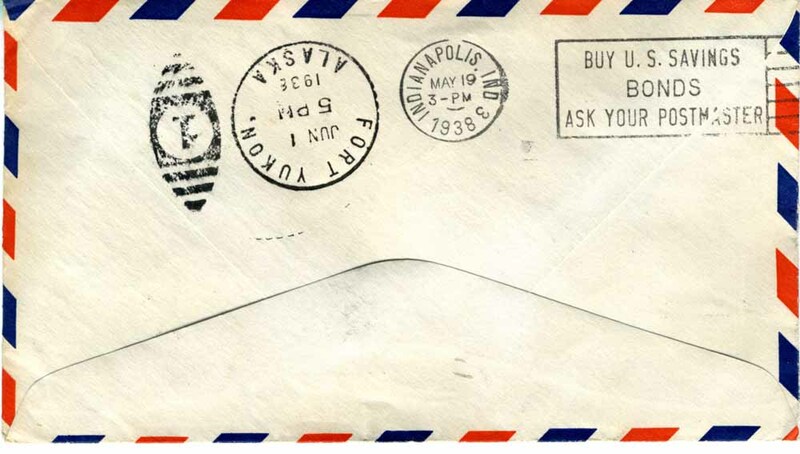 Click here for a page of all the Indiana air mail covers. Since many towns didn’t normally get air mail, private pilots were asked to participate for one day, and some autographed the pieces they delivered. A set of Bremen air mail covers autographed by pilot Eugene Balsley and some other collectable covers was offered to HBI for scanning by the original collector, Dean Kimble (97 years young), who worked at the post office. View the full photo set of “Bremen air mail” on Flickr!